The Commissioner of Police, Bernardus Groenewald, says Police have a strict zero-tolerance approach on drunk and disorderly behaviour. He made the statement during the talanoa session at the Nadi Civic Centre yesterday where well over 100 members of the public were present. 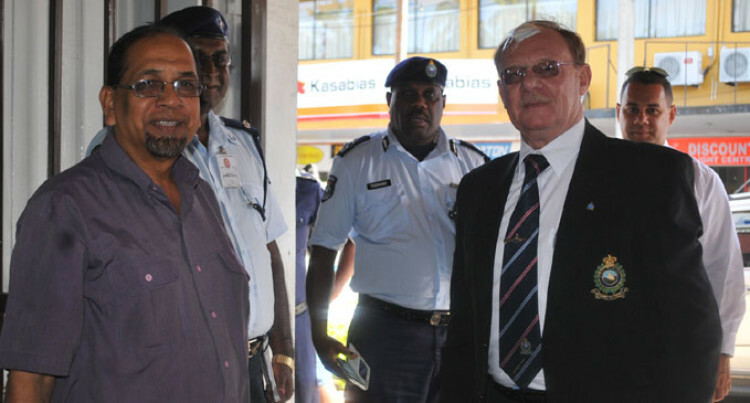 Issues raised included the public being harassed by nightclub prowlers, drunkards sleeping on pavements, broken bottles of beer, noise from nightclubs and also intoxicated people urinating from the balcony of a nightclub based in Martintar, Nadi. Mr Groenewald said he had done a full research that will be submitted to the minister with his recommendations. “I did proper scientific research in Suva and when I received a report from my officers I asked them to expand the research to also include Nadi,” the Commissioner said. He said questionnaires had been completed by people in Nadi and he was accessing the outcome of the survey. “I’m reviewing the outcome at this stage that and I will submit it to our political leaders with our recommendations in terms of the nightclub hours,” he said. A member of the public also raised the issue of licence holders for special tourism zones not complying with the terms and conditions of their licences and the request for a Police caravan to be stationed near those areas. Mr Groenewald said licence owners were not supposed to sell alcohol to those who are already intoxicated. “I have already given them instructions to address these issues and if necessary, submit reports to the local government so they can cancel licences,” he said. He said, if need be, he would send re-enforcement from Suva in terms of manpower, where a special task force could be provided.